Commodity Trading News And Technical Analysis Reports. 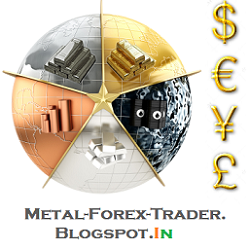 : Technical Analysis MCX Metals And Energy. The MCX copper futures contract is not gaining momentum to rise above Rs 474. Supports are at Rs 462 and at Rs 459 which may be tested in the coming week. The contract can consolidate between Rs 459 and Rs 474 for some time. Nevertheless, the outlook is bullish as long as the contract trades above Rs 459. Declines to Rs 462 and Rs 459 can be considered for going long with a stop-loss at Rs 454. A rally to Rs 510 looks likely in the coming weeks. For the medium-term, Rs 510 is a key resistance level which can trigger a reversal. A steep fall in the global crude oil prices has led to a sharp decline in the MCX crude oil futures contract last week. Technically, last week’s reversal has happened just below the 21-week moving average, at Rs 6,330. This signals the end of the corrective rally witnessed in December. The overall downtrend remains intact and an immediate fall to the support at Rs 5,750 looks likely now. A breach of this support can drag the contract lower to Rs 5,500. Resistance is at Rs 6,100. Traders can go short now and accumulate more on rallies to Rs 6,100 with a stop-loss at Rs 6,350. For the medium-term, Rs 5,500 is a strong support and the contract can reverse higher again from this level. The MCX natural gas contract is trading sideways between Rs 263 and Rs 281 in the past three weeks. As mentioned last week, the contract has to rise past Rs 281.6, the January 2010 high, to extend the current uptrend. Failure to breach Rs 281.6 can either keep the contract range-bound between Rs 263 and Rs 281, or can trigger a corrective fall to Rs 255 and Rs 245. Traders can avoid any fresh positions until a clear signal emerges. The medium-term trend is up, with strong supports at Rs 240 and Rs 220. The MCX zinc futures contract has reversed sharply lower just below the key medium-term resistance at Rs 137. Immediate support is at Rs 126.5. If the contract declines below Rs 126.5, traders can go short with a stop-loss at Rs 129.5. The target on the downside will be Rs 121. If the contract extends the fall below Rs 121, it can touch Rs 117. Overall last week’s reversal is turning the outlook bearish. The contract has to breach Rs 137 decisively to turn the sentiment positive. Else it can remain in a broad sideways range between Rs 115 and Rs 137 in the coming months. Within this range, the bias is bearish, and the contract can breach Rs 115 and fall to Rs 105. 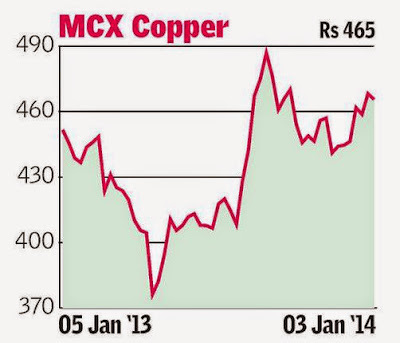 The MCX lead contract has come off sharply from its high of Rs 144.65 in the last two weeks. A strong rise and a decisive close above Rs 140 is now required to turn the short-term outlook positive. Below Rs 140, the contract can fall to Rs 130 in the coming weeks. Short-term traders can take short position near Rs 140 with a strict stop-loss at Rs 142. For the medium-term, Rs 130 will be a key support level to watch out for. This level will set the medium-term trend.